iinHaus’s knowledge and experience in the home interiors sector is extensive, stretching back to the early eighties. Some of the key individuals at iinHaus have 25 years in the kitchen industry alone. 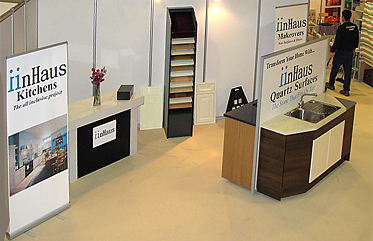 Resources were pooled together during 2007 to form iinHaus as it is today; the objective is to concentrate on the core business of supplying and installing Quartz Surfaces to both the domestic and commercial markets. It is still common for iinHaus to be involved in complete kitchen projects; but usually by referral only. Personalised service as no two projects are the same. A dedicated iinHaus contact for each client. Efficient communication at all times. Quotations are swift and uncomplicated. Attention to detail always observed. All staff and installers are employed not subcontractors. Always remove iinHaus waste material from site.